THE $173 million digitisation programme that is expected to help improve the quality of the country's broadcasting services is now 35 percent complete and is anticipated to be over by 2021, an official has said. In an interview, the Permanent Secretary in the Ministry of Information, Publicity and Broadcasting Services, Mr Nick Mangwana, said the project whose estimated cost was $173 million had so far received $63 million from Treasury. He said the country was working on renewing the country's radio transmission. "The digitisation project is about 35 percent complete with digitisation of two out of six studios completed, the head-end and satellite uplink for signal distribution has also been completed. 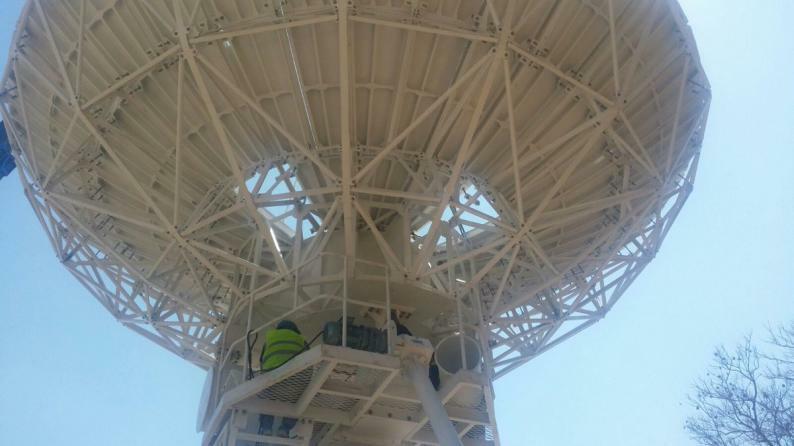 On the transmission side the digitisation of 18 out of 48 transmitters has been completed while five out of 25 transmitter sites have been renewed among other completed and works in progress. "The significant progress has been made considering the size of this project which apart from migrating from analogue to digital television broadcasting and expanding the television network is also renewing the country's FM radio transmission network to ensure universal access to national radio services as well as addressing issues relating to content generation," he said. The Permanent Secretary said digitisation would increase the country's capacity when delivering broadcasting services to communities in the country compared to the analogue technology. "Digitisation increases the country's channel capacity for the delivery of television services to the public. Viewers will have more choice in terms of both service providers and programming, which is what viewers really want. The analogue technology was very limited in this regard," said Mr Mangwana. He further said every area in the country would receive improved picture quality with clear TV signals. "Picture quality is very much improved with the use of High Definition (HD) and the reception quality has very significantly improved with no experience of showers or degraded pictures. Other value added services such as the use of Electronic Programme Guides can be provided. These are the inherent features of the digital television technology in every part of Zimbabwe," he said. Mr Mangwana said the digital platform would help in the creation of business opportunities and employment. "There are also social and economic benefits arising from the need for content on the digital platform arising from increased channel capacity. These channels need to be filled with content. This presents a business opportunity to the creative arts industry which will produce and supply content to the broadcasters, creating employment in the process," he said. Mr Mangwana said six studios were going to be digitalised, four at Pockets Hill in Harare and two at Montrose in Bulawayo. He said six content production facilities would also be installed in Harare, Bulawayo, Victoria Falls, Gweru, Masvingo and Mutare. He added: "The scope of the project includes the digitalisation and expansion of Montrose television studios from one to two studios and provision of other related facilities, towards making Montrose an epicentre of broadcasting in the Southern region. Other parts of the country will be installed with content production facilities that could be evolved to the same in each province over time". Mr Mangwana said the inclusion of engineers was to close the skills gap in the broadcasting sector and reduce contractual costs. "A total of 33 engineers are attached to the project and 26 were recruited to the project for training in order to close the skills gaps within our broadcasting institutions. These engineers are involved in the installation of the new equipment and also receive training in operation and maintenance of the equipment. These engineers have now mastered the skills in this regard and have started taking over some of the works from the contractor, which will reduce the contractual cost of the project and also save on foreign currency," he said. He, however, said ZBC had refurbished two other studios using internal resources and forex was a challenge hence the delay in finalising the project.